The famous theatre play “Kesanlı Ali’s Epic”, which is being broadcasted on TV and performed on stage lately, was revived at Izmir University of Economics. 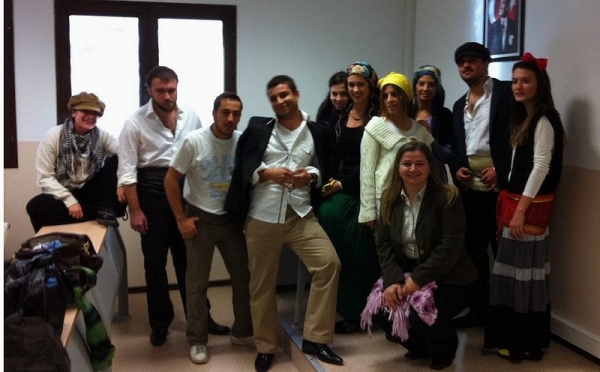 Izmir University of Economics, Department of Translation and Interpretation senior students, first translated “Kesanlı Ali’s Epic” into English, and then performed it on stage. 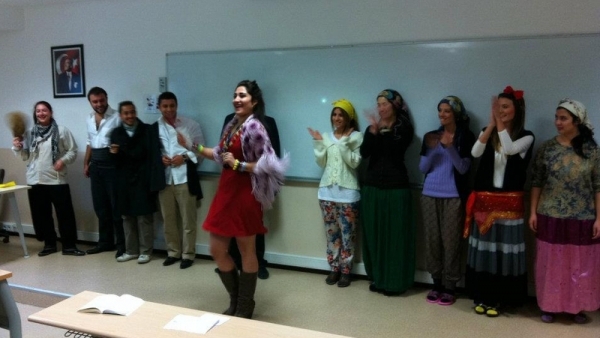 The students performed an act from the play both in Turkish and in English within the context of “Pragmatics and Translation” course that is based on theatre texts. Faculty Member Assoc. Prof. Dr. Neslihan Kansu Yetkiner of Department of Translation and Interpretation stated that the translation, which was a product of teamwork, was very successful. She said, “Even though the play has been translated before, our students translated a more fluent and contemporary version. They experienced the staging of the act first hand which they translated. They intervened immediately when they realized faults due to translation while staging the act”. 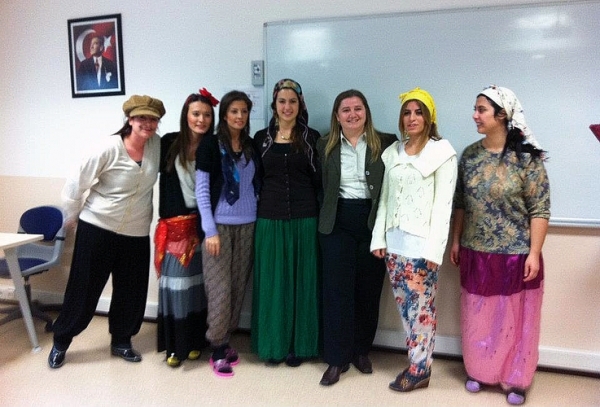 Prof. Dr. Lütfiye Oktar, Department Head of Translation and Interpretation, said that they would continue this in other courses as well, and stated that, active participation motivated students and made the course more fun for students.